Cairns is the major city of Far North Queensland. The 16th largest city in Australia, with a population of over 146,000 people. Cairns is an extremely popular tourist destination due to its rare mixture of ecological attractions and its cosmopolitan, colourful coastal character. 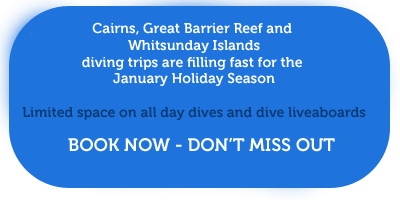 Cairns is situated in a stunning location 400km from the northernmost part of the State of Queensland in the tranquil waters of Trinity Bay. World Heritage listed sites such as The Great Barrier Reef or the Daintree Rainforest are waiting for you when you visit Cairns. The official Cairns region of 1687sq km comprises a narrow coastal strip from Ellis Beach in the north to Mirriwinni in the south. Cairns is often referred to as the Gateway to the Great Barrier Reef. The dominant industry in cairns is tourism followed by agriculture, mining, manufacturing and fishing. Cairns has an International and Domestic airport that is located a 10 minute drive from the city. All flights are met by taxis and a taxi ride costs around $25 to the city. An airport shuttle bus also operates and is $10 to $15/person. It is a 2 hour flight from Brisbane and a 3 hour direct flight from Sydney. The main entry point to Cairns is its airport, which has international, domestic and general aviation terminals. It is served by major international, national and state air carriers. Direct international available are from: New Zealand, Hong Kong, Japan, Korea, Taiwan, Papua New Guinea, Singapore, Indonesia, Malaysia, Thailand, Europe & the UK, and outbound to all of these destinations and to the United States of America. Cairns is located on the shores of Trinity Bay which was discovered and named by Captain James Cook during his his discovery tour of Australia's east coast aboard the bark HMS Endeavour in 1770. 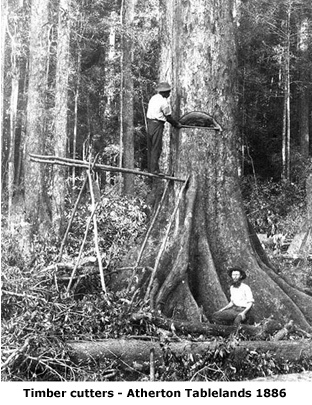 Tropical Northern Queensland was a rugged, inhospitable area which proved to be very difficult for the early explorers to penetrate and populate. It was more than 100 years after Cook's discovery that early settlers were able to overcome cyclones, wet seasons, dangerous coral reefs, impenetrable vegetation, disease and dangerous animals to establish permanent settlement. 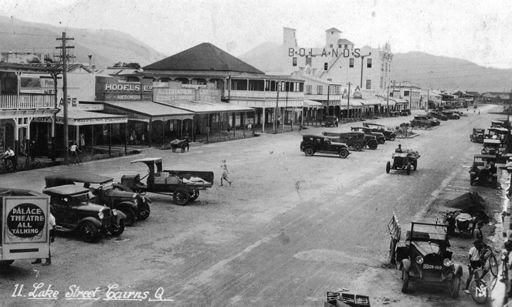 Cairns was officially founded in 1876 following the dicovery of gold in the far north of Australia. The town served to support the incoming gold rush miners. Cairns was named after Sir William cairns who was Governor of Queensland at the time. The future of Cairns was assured when the site for the city was chosen as a starting point for a new railway to service the nearby Atherton Tablelands. The port was further established to ship tin and timber from the Atherton Tablelands southern Australian ports. Gold mining eventually petered out and a new industry, sugar cane, which was ideally suited to the flat, fertile coastal land began to flourish. Fishing and pearling were also very successful industries that contributed to the development of Cairns as a major Australia city. When World War II commenced, Cairns became a supply centre for the Pacific Fleet. Army battalions were stationed here to combat the threat of a Japanese invasion that was anticipated following the fall of Singapore. After the war North Queensland continued to develop and has become a significant domestic and international holiday destination. The Great Barrier Reef is the leading tourism attraction today but Cairns has much more than that to offer the visiting tourist. An international airport was established in 1984 and this opened Cairns up for the rest of the world to visit and enjoy. Cairns is renowned as the gateway to two of the world's greatest natural attractions: the Great Barrier Reef and the Wet Tropics Rainforest. 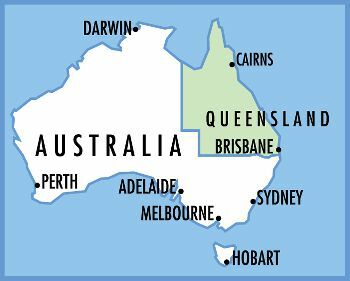 Queensland's Wet Tropics region is a broad band of tropical rainforest type vegetation stretching from Townsville in the south to Cooktown in the north with Cairns located at the centre. It is approximately 900,000 hectares in area running inland along the east coast of Queensland. The area was added to the World Heritage List in 1988 due to it's biological and ecological importance. This region features spectacular scenery and rugged topography with fast flowing rivers, deep ravines and gorges and many incredibly beautiful waterfalls.